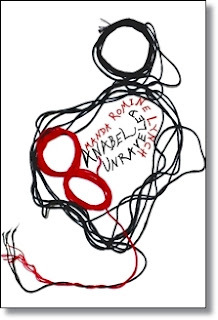 Indie Author Interview with Amanda Romine Lynch - Author of the Coming-of-Age Novel Anabel Unraveled. Amanda Romine Lynch, is a writer and a blogger who grew up in Florida. She chronicles her exploits raising three boys in her blog, The Semi-Organic Mom (http://www.thesemiorganicmom.com/) and is busy working on the sequel to Anabel Unraveled. Amanda Romine Lynch: I majored in English at the University of Florida, and I have written for a bunch of websites: The Children's Book Review, Prime Parents Club, and I also have my own blog about parenting, The Semi-Organic Mom. I am a huge fan of historical fiction, and I love Lauren Willig, Tracy Grant, and Tasha Alexander's books. In terms of influences, I always find myself drawn to loss of innocence stories, like THE BOOK OF LOST THINGS by John Connolly. However, the book that really inspired me to write was Avi's THE TRUE CONFESSIONS OF CHARLOTTE DOYLE. I have such affection for that book that I reread it every year. When I was a little girl I knew I wanted to write. By the time I was seven, I was writing really bad plays (most of them based on episodes of Ducktales and other Disney cartoons). When I hit middle school I started into short stories, which grew progressively longer. And then came Anabel, whose story I had been working on off and on for years before I finally pulled it into a book. "I always write with the end in mind but I tend to jump around a lot [...]"
I have three little boys aged three and under, so a routine is hard to come by, but I do most of my actual writing at night. I tend to find time during the day to play things out in my head (when I'm feeding the baby, for instance) so that when it comes time to actually sit down and write I usually have what I'm going to write in mind. I am a non-linear writer; I always write with the end in mind but I tend to jump around a lot in my writing before I get where I am going. I love writing--it's my escape, my coping mechanism, and one of my greatest passions. So when I know what I want to write, it flows easily. I find it difficult to write when I am not sure how I want to get from Point A to Point B, but I know I need to get there. Also, having time to sit down and write is hard for me, because I do have three little ones. Anabel Unraveled is set in Washington, DC, as well as a fictitious island in the South Pacific named Caereon. It begins with the aftermath of her father's murder--Anabel grew up on Caereon and now lives with her former politician brother and his wife, who despises her. While Anabel wants nothing more than to be left alone, she finds herself in the limelight during Congressional Hearings about Caereon and her father's murder--during which she has to confront Jared Sorensen, who she has a past with. Seeing Jared is hard for Anabel because she wants nothing more than for him to die. I actually got the idea for the island of Caereon back when I was in high school. My History of the Americas teacher went on a tangent one day about Fort Knox conspiracy theories. An avid X-Files fan at the time, I loved the idea of a conspiracy about the gold there...so I created an island in the South Pacific where it was housed, and from there sprang Anabel and her father-and later, Jared. You can buy it directly from my publisher, in ebook and print form (http://electiopublishing.com/index.php/bookstore#!/~/product/category=4758362&id=22625038), Barnes and Noble Online, and Apple iTunes. Anabel currently has seven 5-star reviews on Amazon, one on iTunes, and two on Barnes and Noble. I hope to achieve many more of those in the weeks to come. "From start to finish, it took three years [...]"
The first draft of Anabel came together in four months. However, it went through many, many revisions (and changes--I had to completely rewrite the ending because I wasn't happy with it). From start to finish, it took three years (and three pregnancies!) before it came out. I actually work with eLectio publishing, which isn't the same as working with a larger publisher. They are smaller and therefore I worked directly with them, doing revision after revision (every time I thought I was done there was more to do to meet their standards!). But it was nice because they were so involved in my story. My publisher designed the cover, and I did hire my editor, Jennifer Harris Dault. She did a fantastic job and I highly recommend her. She can be contacted at doveintheattic@gmail.com. "If you make writing a habit, you will do it [...]"
Again, I did work with a publisher, but in terms of writing, the best thing to do is focus on writing as much as you can, even if you wind up going back and changing everything that you wrote before. If you make writing a habit, you will do it...and the more you write, the better chances you have of getting your work out there. Yes! I am in the middle of Anabel's sequel. Right now, I have plans for this to be a trilogy. I have written the end to the final book and so I do write with that end in mind. At the moment, I plan on staying with eLectio, but who knows what the future holds? It's hard to say. In spite of the flourishing eBook market, I know some great indie shops that are still doing well. I think it depends on the area. Where I live (the DC Metro Area) there is a fondness for print books and still a market for them. In other areas, I imagine they will fade. I think the closing of Borders Books is a definite sign that we are headed toward more digital literary consumption. I have an e-reader, but there are some books that I do insist on buying in print form. I am a stay-at-home mom--I have three little boys, a 3.5 year old, a 20 month old, and a 5 month old. Thank you very much for the Interview, Amanda. What's even worse is that Jared is the only reason she’s still alive.